 Animikii is a Victoria-based digital agency and social enterprise (Certified B Corp) that works with leading, Indigenous-focused organizations from all industries to drive positive change for Indigenous Peoples through technology. Learn more at www.animikii.com/careers. We are seeking a Website Designer & Developer who is motivated to combine the art of design with the art of programming. Responsibilities will include translation of designs into to code that will produce visual elements of an application or website. You will work to bridge the gap between graphical design and technical implementation, taking an active role on both sides and defining how our web projects look as well as how they work. Create web designs and mockups using Photoshop, Illustrator and Sketch. Implement designs using our custom website content management system (based on liquid markup). Ensure the technical feasibility of proposed mockups from other designers. Accurately implement mockups from other designers. Ensure best-practices and thorough testing throughout the lifecycle of a project including cross-browser compatibility, responsive design, SEO and accessibility. Build reusable code, libraries and website templates for future use. Support our giving-back program through pro-bono time, volunteering (paid), workshop delivery or other social impact initiatives that are important to the team. Continuous learning to keep ahead of evolving technologies through an individual professional development plan. Degree or diploma in design, computer science or equivalent experience. 5 years minimum experience working in a client-service environment (digital agency or freelance). Demonstrated understanding of HTML5 & CSS3. Proficient with CSS architecture/methodology like SMACSS or BEM. Experience working with Web Service protocols and REST/JSON APIs. Familiarity with Ruby on Rails including asset pipeline and rails views. Motivated self-starter; ability to start, manage and prioritize multiple projects. Experience and a demonstrated interest in working with Indigenous communities. Team collaborators who are willing to wear many hats and jump in on many aspects of our projects, even if it’s outside of your core skill set. Individuals who are interested to implement Animikii’s core values through the 7 Sacred Teachings (Humility, Truth, Honesty, Wisdom, Respect, Courage and Love). This position is full-time and based out of Animikii’s headquarters in Victoria. Start date is negotiable. Competitive benefits package and salary commensurate with experience. Self-identifying as Indigenous, having first-hand knowledge or experience working with Indigenous communities will be considered an asset. Please email careers@animikii.comwith your resume and cover letter communicating your desire to join our team. Closing date for applications is February 28, 2018.